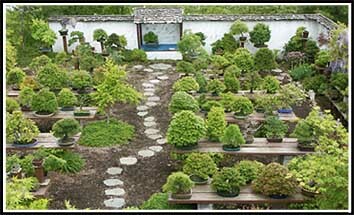 The International Bonsai Arboretum was established by William N. Valavanis to promote the horticultural and artistic aspects of classical bonsai art. 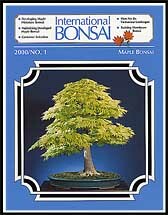 Bonsai artist, educator, and scholar, Mr. Valavanis has been studying bonsai for over 40 years and freely shares his knowledge, techniques, and art on an international scale. The International Bonsai Arboretum is the home of the Valavanis Bonsai Collection and offers a complete range of educational bonsai courses, workshops, seminars and symposia as well as trained bonsai masterpieces, pre-bonsai, and bonsai supplies. International BONSAI, the quarterly publication of Mr. Valavanis, has been published for 30 years and reaches bonsai enthusiasts around the world. 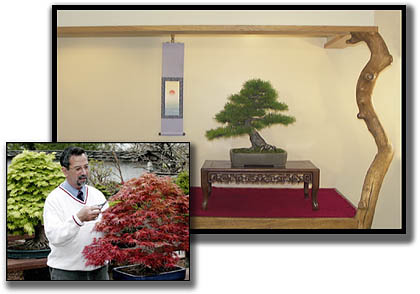 Tours of bonsai gardens and exhibitions in Japan and around the world are also regularly conducted.